I like the Enchant Land (at uncommon) much better, since it's easier to answer and actually takes up a card. Not sure how (if?) I thought common would be reasonable for a card that can make unlimited creatures. 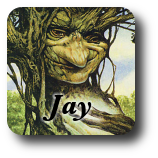 At the end of your turn, put a 2/2 green Bear token into play. 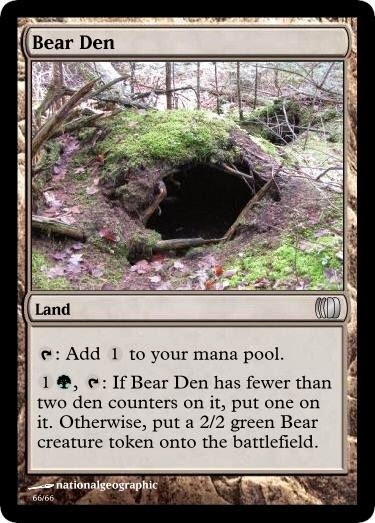 Whenever a creature attacks you/PW you control, put a den counter on ~. G, T, Remove 2 counters: Bear.